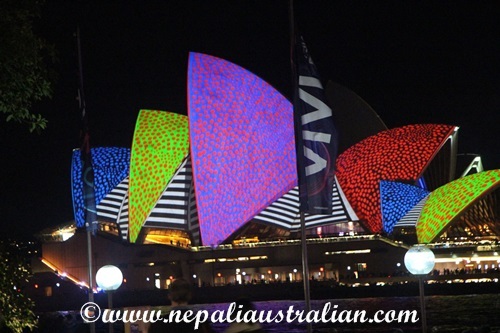 Last week, we went to watch Vivid like every year. 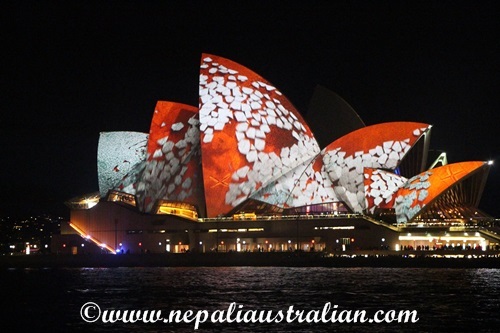 It is one of the best shows Sydney puts on apart from the New Year fireworks. 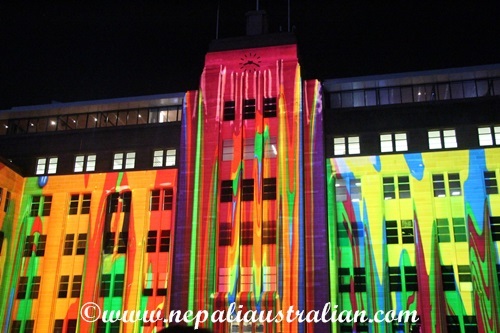 I loved Vivid this year as there was line-up of amazing lights in even more places. 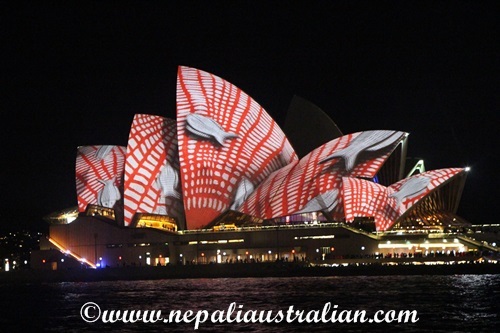 My favourite was the animated canvas on Opera house inspired by Aboriginal arts. 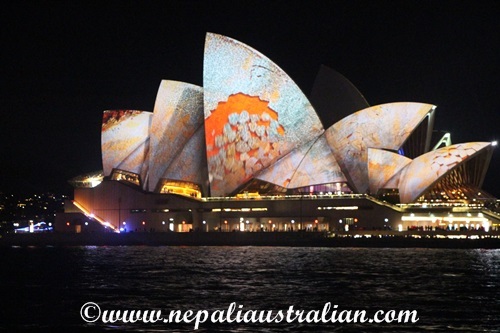 It was so nice that we stayed in front of it for a long time, admiring the view and taking some great photos. 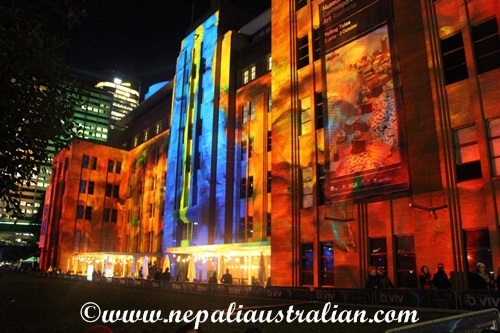 Another one of my favourites was the Sydney’s Hidden Stories projection onto the Custom’s House. It was full of great characters like the lizard, snakes, cockatoos, gnomes and gumnut fairies and even a witch. 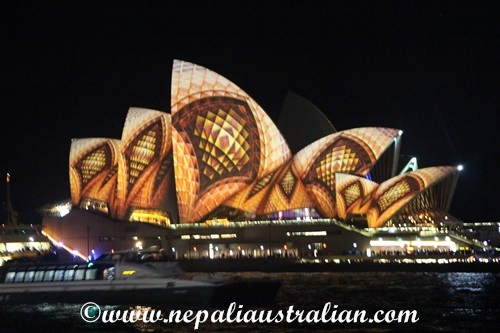 Even though it was a cold evening, we loved the night out and Chhori was happy to run around. On the way back to the train station, we found a phone on the middle of the road. It was an iphone6 and a car must have run over it. The screen was all smashed and we could not see anything. The phone had a cover which had a student card with name and a photo. The first thing I could think of was to search for her name on Facebook just in case we could find her. We found a Facebook page with the same name but we were not sure if that was the same girl as the photo seemed a little different. In that mean time, the phone started ringing but we couldn’t pick it as the screen was smashed and was not sensitive to touch. So I decided to leave a message on her Facebook just in case it was the same person. The phone kept ringing and eventually died. The next morning, I checked my Facebook for a response but there was none so I decided to call the university. Luckily when I talked to the lady there, there was only one student with that name. So I left a message for her to call me back and let her know that the phone is with me. That afternoon she called me and was happy to know that I had her phone. Unfortunately I had to inform her that the phone was smashed and unusable. We arranged for her to pick the phone up from my friend’s office as that was closer to her. Do you have a similar story where someone has returned your lost item or you found the owner for a lost item that you found? Please do share. 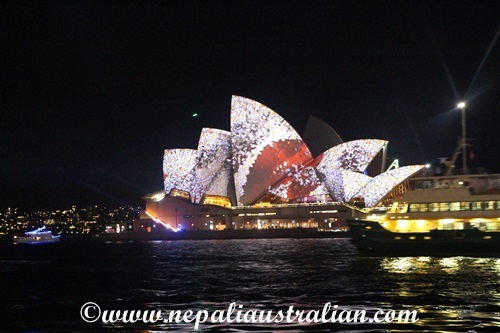 This entry was posted in Australia and tagged amazing photos, circular quay, Customs House, Darling Harbour, harbour bridge, International Passenger Terminal, light show in Sydney, Martin Place, opera house, Sydney, Vivid, Vivid light festival, vivid sydney, Vivid sydney 2016. Bookmark the permalink. These lights are amazing – I’ve seen a couple posts on them recently, and they never get old! As for the phone, I’m so glad you found its owner – I would be so worried if I were to lose mine and so grateful to have it returned! 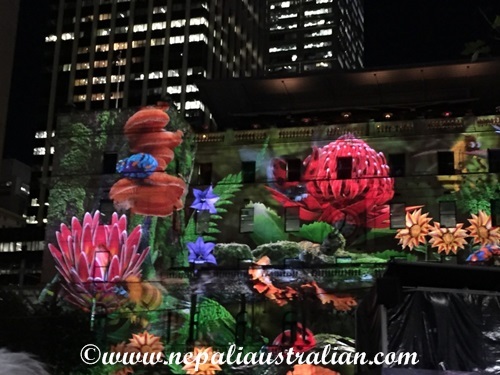 Vivid is really good and most of the people in Sydney goes there I think :). Same here, if I lose my phone, I will go crazy too as I am so dependent on it. So far I have only returned a couple of wallets but it was always at the police station so I have no clue of the rightful owner got it back. If you tell new generation to use Nokia phone, they will look at you as if you are crazy :). I remember my first mobile, Nokia and very strong too :). It fell multiple time and never broke. I have always preferred warmer weather and have written multiple posts with reasons why I hate winter. Great job, I am sure she appreciated what you did very much. 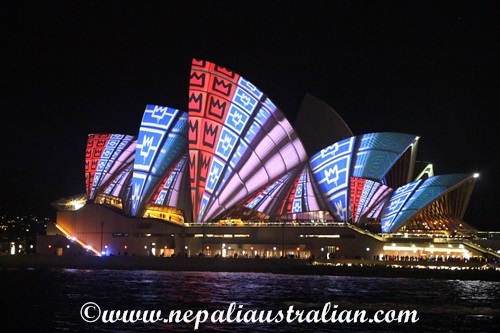 The light show looks wonderful! We have a similar one here in Lodz, Poland in autumn and it’s really nice too. 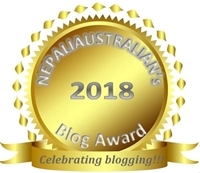 I don’t remember finding anything and returning, because I rarely find things 😀 But once in Nepal I left my wallet with lot of cash inside, at a shop near BhatBhateni, I rushed back there after realizing in the evening that I had left it there or somewhere in that area. The man from store returned me the wallet with everything inside it 🙂 It was very nice and kind of him. 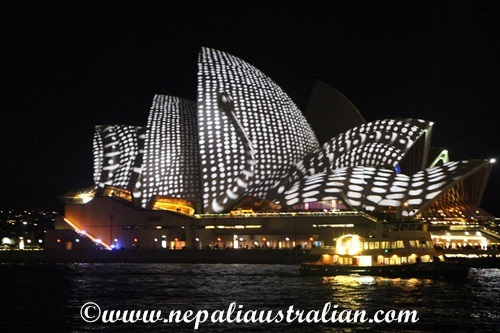 You are so lucky to find your wallet back, especially in Nepal as it will be bit hard to track you down.